Site search tracking is a google analytics feature, where you can track the search requests on your site separately from pageviews. To fully understand how site search tracking works, please read this official article from google. The value between the question mark "?" and the "=" is going to be the query variable, so in this case the "ajax_search" string. You can replace the "ajax_search" variable name with anything you want, just make sure to remember it. Log-in to your Google Analytics account, select the correct account, property and view. Save the options, and it's done! 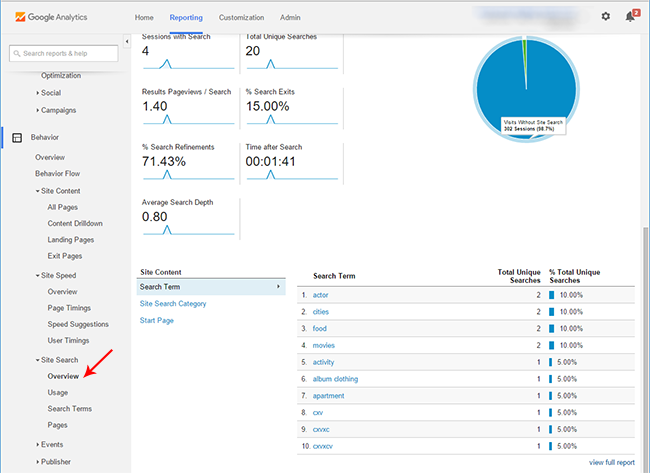 After a couple of hours the new search phrases should start to appear in the Site Search report.